I'm nearly done serializing Paths of the Shadow on Wattpad. The novel is only a couple of chapters away from its epic conclusion. Soon, I plan to begin serializing the second novel of the trilogy, Warriors of the Realm. It will also soon be made available on Amazon. For those who are just now getting introduced to the series, it is entirely possible to jump straight into Warriors of the Realm, without reading Paths of the Shadow first. 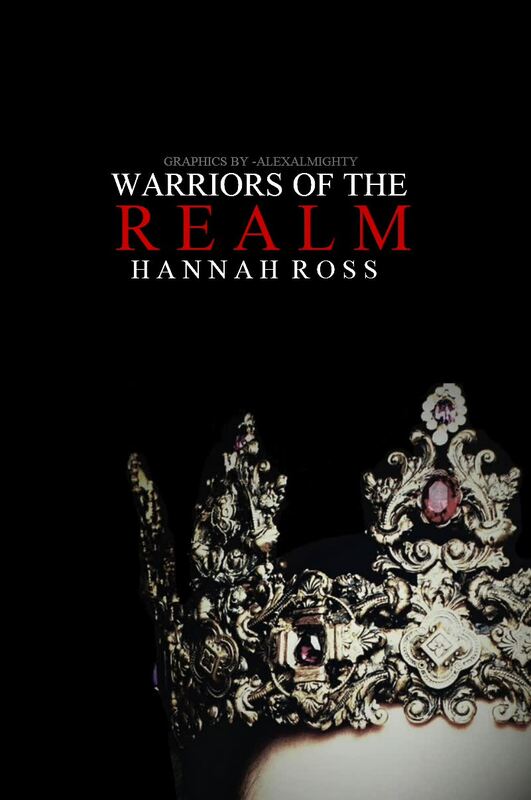 Warriors of the Realm was originally written as a stand-alone novel, with plenty of past references out of which Paths of the Shadow was eventually developed. An unorthodox way to write a series, I know! I started at the middle, went on to the beginning, and finally proceeded to write Guardians of the Gates, the final volume of the trilogy. Talvi was slumped on the thin straw mattress, looking up at the conical ceiling of the grass hut with something that could be described as numbing despair. Nevertheless, although her body was still, her eyes kept darting back and forth, and her keen, vigorous mind was endlessly suggesting, processing and discarding ideas of escape. Yet despite herself, she was growing close to admitting defeat. The small, round-shaped hut was bare but for the pallet she slept on, and the chamber pot that was emptied once a day. The grass weave of the walls could probably be cut through, but she had no weapon; she was not even permitted a blunt knife for cutting her food, which was brought to her by silent, impassive servants morning, noon and night. She had tried talking to them, but for all the good it did, she might have been just another lump of straw on the floor. They took no notice of her conversation; most likely they did not understand Tilirian at all. She knew she could not be far from the border, and this knowledge drove her mad. If only she could somehow, anyhow convince her captors to let her out of the hut for a while! A bath; she needed a bath, and a change of clothes – her own were torn from the fight with Bardaz, and reeking with sweat. Not that it's likely they will oblige, she reminded herself bitterly. Certainly not after what happened yesterday – driven to reckless daring by her despair, Talvi had tried to smash into the wizened crone who entered with the supper tray, and fly out of the door. It was a foolish move; the camp was large and teeming with people, and at least six pairs of hands were pulling at her that very instant. She had been pushed into the hut again, and had not seen the light of day since, save for the thin strip coming through the opening at the top of the conical roof. They cannot keep me here forever, she consoled herself. If that savage, Bardaz, wanted to take her for one of his wives – Talvi shuddered at the thought – or more likely, his concubine, it didn't make sense to keep her in perpetual captivity. She would have to convince them that her spirit is broken, and then she would, perhaps, obtain a degree of freedom that would enable her to operate. She tried not to contemplate the details of what she might have to do to make it happen; it made her sick to her stomach. She had no doubt that her friends are beside themselves with worry about her. However, she was also well aware of the fact that Korian did not have the authority to lead his people across the border to rescue her; any effort in that direction would have to be conducted through diplomatic means, and that route could be long, slow and futile. She was just one person, after all, and someone in the top ranks could decide that she didn't justify further strain in the Tilir-Malvia relations. Then she would be simply abandoned to her fate. My father will not let this happen, Talvi thought, clinging desperately to hope. There was a noise, and Talvi sat bolt upright before she even realized what it was. Then the door of her hut was opened, and a woman came in, carrying an armful of clothes and towels. She was wearing the usual shapeless coarse-woven sack and lumpy headdress Malvian women traditionally wore outside the confines of their homes, and her face was wan and tired, yet there was something pleasing about it all the same; it was a sad, dejected face, but a kind one. Talvi did not recall ever seeing this woman before. "You are to undress," the woman told her, and Talvi started with surprise. This was the first time someone spoke to her since the beginning of her captivity. "A bath will be brought in shortly, and I have fresh garb for you here." The woman was soon followed by five others, who carried in a large copper tub and many pails of steaming hot water. I can drown myself in that tub if I try hard enough, Talvi thought ironically. In all likelihood I will be doing myself a favor. Yet her strong spirit could not accept such a possibility; no matter what, she must always hope. She allowed her torn, stained clothing to slide down to the earth floor and climbed into the tub. She permitted the serving women to sluice hot water over her head and scrub her clean. The sponges they used were of a plant origin, coarse and scratchy, and the cleansing solution slippery and sharp-smelling; yet it left her feeling clean, and that was a refreshing change. The clothes that were brought for her were in Malvian style – a loose-fitting dress with wide sleeves, too large by far, yet it was clean, dry and whole, and she slipped it on almost gratefully. Perhaps Bardaz won't find me so appealing now that I’m wearing this sack. Then the women who brought the tub and water shifted out, carrying her old clothing with them. Talvi watched it go almost mournfully. It was as though a part of herself was gone, and she didn't know whether it would ever come back again. To her surprise, the woman who entered first remained. "I will help you brush and braid your hair," she said. It was no easy task. Her hair, usually sleek and shiny, was matted and tangled, and the woman worked on it, using several brushes and combs until it was like black silk again. After braiding it, she straightened up and looked at Talvi with fathomless expression. Talvi stared back intently, and decided that the deep lines on the woman's face were deceitful – something in her air told that she was worn out not by age, but… by what, Talvi hardly dared to imagine. "You had better not try to escape again," the woman advised her softly. A jolt of overwhelming realization coursed through Talvi's brain. "You are Tilirian," she stated. She must have known from the first; the way this woman spoke had nothing to do with the crude Tilirian of the savages. Although she didn't say much, every word had the fluency of a native speaker. The woman shook her head. "I was once," she whispered. "Not anymore." "I was once called Shyla." "How did you end up here?" demanded Talvi in an urgent whisper. "How long have you been staying with the savages?" "The last time I saw my home was probably before you were even born, child," the woman said. She looked terrified for having said even that much. "Listen," Talvi said firmly, lowering her voice, "we can help each other. The border isn't far, and an entire division of Tilirian soldiers is staying there. If we can make it across the border to them, we are safe." But Shyla shook her head dejectedly. "I have children. They belong here. I could not take them with me, and my heart would break if I left them. Neither do I dare to help you. Forgive me, child, but that would only get us both killed." "Then what do you suggest I should do?" asked Talvi, annoyed but not defeated. Pity fluttered momentarily from beneath Shyla's downcast eyelids. "Bardaz is a harsh man, but he does not treat his wives with unneeded cruelty. He is besotted by your beauty, and intends to marry you rather than make you one of his concubines – the rights over a female slave may be disputed, but a wife is a man's lifelong rightful property. For as long as you keep your head down and aim to please him, you should not come to harm." Talvi lifted her chin in quite a warlike manner. "It's him who should be afraid," she declared with confidence she did not feel. "If he attempts to marry me, I will geld him on the wedding night." Shyla looked sorrowful. "You know nothing, child," she said solemnly, "and I can only pray you will learn fast enough." For a fleeting moment, her bony hand rested on Talvi's shoulder; then she went out in swift, soft strides. And the door was barred again. I sent the first draft of Wild Children to a friend who is really worth her weight in gold when it comes to reading through and offering good advice, and she helped me re-focus and re-define my goals for the novel. The truth is, I approached this project - my first major sci-fi/dystopia writing project - with a great deal of enthusiasm. But by the end of the first draft, I was burnt out. I wanted to pull all the loose threads in as quickly and efficiently as possible, and this hurt the plot arc. The end was rushed and anti-climatic, because I set my heart on a one-book project and I was unwilling to shift my perspective. I wanted to put it all together too badly to see that the allotment of 100K, or even 120K words wasn't enough for what I tried to do. So, instead of artificially rushing the ending, I will purposefully leave some loose threads and make room for a sequel - which, I must be honest, I haven't even outlined yet and have only vague ideas about. The inspiration and ideas will depend in part on the readers' feedback when the first part of Wild Children comes out. Whether I will end up with a two-book project, a trilogy, or a longer series, remains foggy right now. So far, all I can see clearly is that the plot cannot be wrapped up in one book. "The Van Wullens were an old, numerous, prosperous clan. Obviously, they now held only a fraction of the assets they had before the War, but by the current standards they were still fabulously rich – perhaps even more so, in comparison, than before. They owned factories, offices, enterprises and, above all, land - an exceedingly precious resource, with the United States reduced to a small group of Islands within the Boundary. Most of the citizens lived in cramped little dwellings in functional apartment blocks, but the Van Wullens still owned landed property. Most of the houses were concentrated in two small Country Islands owned exclusively by the family. Silver Oaks, one of the mansions, passed by inheritance to Eleanor, and it was there that the President and the First Lady spent most of their weekends and holidays. Tea was just being served on the shady verandah when the black car stopped at the gate. President Dahl stepped out and walked up the neat walk, gravel crunching under his feet. As always, Eleanor Dahl looked impeccable. She was wearing a sleeveless knee-length linen beige dress, with a light white cardigan casually thrown over it. Silk stockings accentuated her shapely calves, and her feet were clad in white leather boat shoes. Mrs. Dahl was a very handsome woman. Alexander Dahl bent to kiss her on the cheek. “Where are Stephanie and Priscilla?” he asked. Dahl arranged his face into a polite smile, resigning himself to his fate. He wasn’t very fond of his brother-in-law’s wife, and he suspected she knew that. Glenda Van Wullen, however, greeted him with every appearance of delight. “Did you think I wouldn’t come?” Dahl said. Glenda laughed, showing perfectly bleached white teeth. She looked as fashionable as her sister-in-law Eleanor, but it was a different kind of elegance. She was dressed in a blue pantsuit which was just perfect for showing off her tall, lean figure. Her hair, light brown with a tinge of red and some reddish highlights, just touched her shoulders. She sat back in her chair, took out a slender cigarette and lit it. A wisp of menthol-scented smoke rose up in the air, and Dahl wrinkled his nose as he, too, sat down in one of the white garden chairs. Dahl was perfectly sure she didn’t forget. “I don’t mind,” he assured her stiffly. He was beginning to wonder whether staying back at the White Tower wouldn’t have made for a more peaceful weekend."